Gordon B. Hinckley – SSA or Gay? It’s LDS General Conference this weekend. Growing up, these two weekends each year were my favorite. I looked forward to them because it meant that I didn’t have to go to church; I could escape the quiet tormenting some of the boys around my age caused. Later in life, it became a time to take a break from the busy weekends I had serving in church callings. The past several years, however, I have entered this weekend with the hope that church would make a major announcement that would shift the way my LDS neighbors treat anyone who doesn’t fit into their tidy definition of worthiness. I have wanted somebody to talk about our homosexual brothers and sisters and call members to repentance for the way we have been maligned, but that hasn’t happen. It hasn’t happened, and, as a matter of fact, Boyd K. Packer has been allowed to continue sharing his misunderstandings of homosexuality. Church members continue praising him for standing firm, and they make sweeping comments that they don’t realize are so hurtful. In many ways, I dread this weekend now because I hate to see what controversial and hurtful comments will be made. I have heard rumors that the church is waiting to make a policy change about homosexual members, but we know how reliable rumors can be. The people in the know claim that leaders are just waiting for Boyd K. Packer to pass away, and then announce that they have received more enlightenment about the matter. 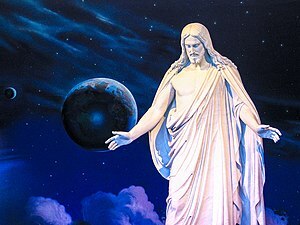 They claim that the leaders don’t want to offend the long-term leader and announce that he has been wrong for so many years; they would rather alienate thousands of church members and millions of men and women to appease this one man. I am not sure I believe this, but I have heard the same ideas from several different sources. I have often wondered why Boyd K. Packer has taken such a strong stance on homosexuality. Sure, faithful members will say that it isn’t Packer who has declared his disapproval, but he is speaking for God. In my mind, if that were the case, wouldn’t comments from other leaders support him? Would the church make an effort to edit his comments from a previous conference when they printed his talk? President Gordon B. Hinckley and others have now admitted that they believe that homosexuality could be an inborn trait that one cannot change, yet Boyd K. Packer sticks to the old ideas that it’s a choice that can be fixed. I really hope that the church leaders are sincerely praying for a solution to this conflict. I hope they take bigger steps to heal the wounds and bridge the gap that has been created. I so wish that my LDS neighbors will soften their hearts and see that their misunderstandings about us do hurt and make us feel like outcasts within our own communities. Will this happen this weekend? Of course not, but I can always hope.